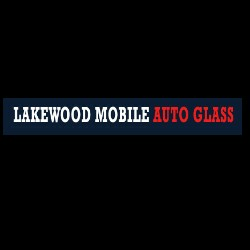 Description: Lakewood Mobile Auto Glass is a business categorized under business services, nec, nec, which is part of the larger category business services. Lakewood Mobile Auto Glass is located at the address 4122 Deeboyar Ave. #32 in Lakewood, California 90712. The Owner is Charles Lopez who can be contacted at (562)353-5789.
Review: Lakewood Mobile Auto Glass has been serving the Lakewood California community for over a fifteen years. Our company performs Auto Glass Lakewood – Auto Glass Repair Lakewood – Auto Glass Replacement Lakewood - Windshield Repair Lakewood - Windshield Replacement Lakewood – We are your local Lakewood Auto Glass – Lakewood Auto Glass Repair company and more. call us today for Auto Glass Lakewood CA – Auto Glass Repair Lakewood CA - Windshield Replacement Lakewood CA – Windshield Repair Lakewood CA – Auto Glass Replacement Lakewood CA. We specialize in Auto Glass Cerritos – Auto Glass Repair Cerritos – Windshield Repair Cerritos – Windshield Replacement Cerritos. Our company also performs Windshield Replacement - Windshield Repair - Glass Repair – Call us today for a free quote on Auto Glass Repair - Auto Glass Replacement - Windshield Replacement - Auto Glass - Car Glass - Car Glass Repair. To get a free quote, simply call us 7 days a week at (562) 353-5789 and speak with us today.